What Does Prix Fixe Mean? The phrase prix fixe is French for "fixed price." When a restaurant indicates that it is offering a prix fixe menu or a prix fixe dinner, that means that it is offering a meal at a fixed price. Usually, the words prix fixe are associated with a multi-course meal, such as a four-course prix fixe dinner or a three-course prix fixe lunch. A three-course prix fixe meal typically consists of an appetizer, a main dish or entrée, and dessert. Other holiday menus may also be offered in this format. By offering a prix fixe menu a restaurant can offer special creations, allowing the chef to concentrate on offering a few special dishes instead of an entire menu or set of entrées. The benefit for the patron is that, assuming the choices available for the courses of the prix fixe meal are appealing, there's not much math! The price will be predetermined. They will add tax, and you'll add the tip. That's what makes it different from an à la carte menu, where everyone chooses whatever they want from a menu — it could be three appetizers and a dessert, or just an entree, or any combination — and then the total is tallied up at the end. A restaurant may offer a few choices for each course of a prix fixe meal, or they may not. 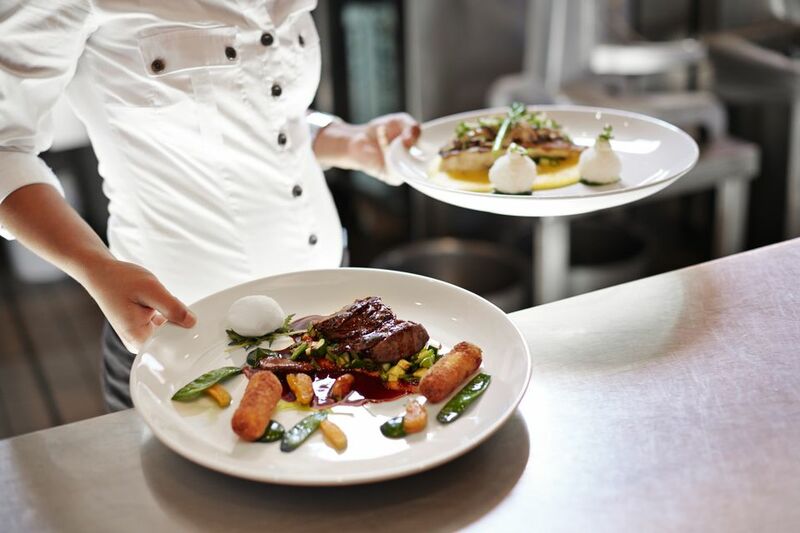 Since substitutions are typically not allowed, it is important to ask about the prix fixe menu if the regular à la carte menu is not also available on that occasion. Some restaurants do, however, offer prix fixe menus in addition to their regular menus. When a price is quoted for a prix fixe menu, it typically does not include beverages, tax, or tip. Examples: The Bistro is offering a four-course prix fixe menu for Valentine's Day. You may choose soup or salad; choose one of three appetizers; choose one of four entrées; choose one of three desserts. $49 per person, plus tax and tip.